Wallace Berdell Mossefin passed away April 29, 2017 in Sioux Falls. He was born on November 16, 1915 in Wakonda, South Dakota to John and Clara (White) Mossefin. He went to the children's home in Beresford when he was seven. He went to school in the home and in Wakonda. He left the home when he was 15, joined the Army in 1941 and was discharged in 1951. Wally married Jean Lane on September 30, 1942 in San Francisco just below the Golden Gate Bridge. They lived on an Army base in San Francisco. Wally was deployed overseas for the first of his five campaigns. Two were World War II and the Korean Conflict. He came home to Iowa where Jean was. They had three children: Berdell, Rita and John. They lived in various small towns in the upper Midwest area and settled in Sioux Falls. Wally did farm work for Hansen Silo before going to work at John Morrell's. He did gutter work for his second job. He worked at Ron Park Drug. After he retired, he drove school buses. They provided daycare in their home. Wally and Jean loved taking care of their grandchildren, along with many other many other children whose parents came to know them as loving caregivers. Wally will be remembered as a loving and devoted husband, father, grandfather and great-grandfather. 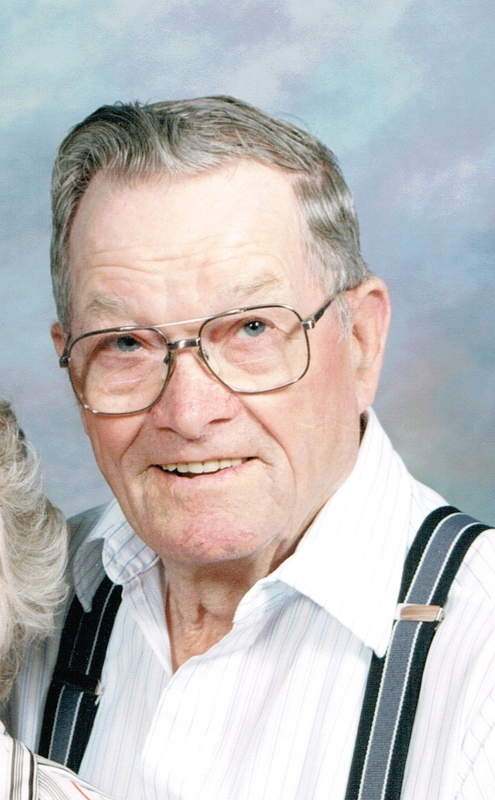 Wally enjoyed fishing, bowling, camping, spending time with family and watching his grandchildren play sports. Grateful for having shared his life are his three children: Berdell (Helen) Mossefin, McKinney, TX, Rita (Larry) Plucker, Harrisburg, SD and John (Karen) Mossefin, Lennox, SD; seven grandchildren; ten great-grandchildren and seven great-great grandchildren. He was preceded in death by his parents, his wife, Jean, fourteen brothers and sisters, and one grandchild, Colin Plucker. Visitation will be Tuesday May 2, 5:00 PM at Barnett-Lewis Funeral Home with a Scripture Vigil at 7:00 PM. Mass of Christian Burial will be Wednesday May 3, 10:30 AM at St. Michael Parish with burial to follow at St. Michael Cemetery with Full Military Rites.